It might look like a funky concept, straight from the halls of an international motor show, but this is actually the new Suzuki Ignis. 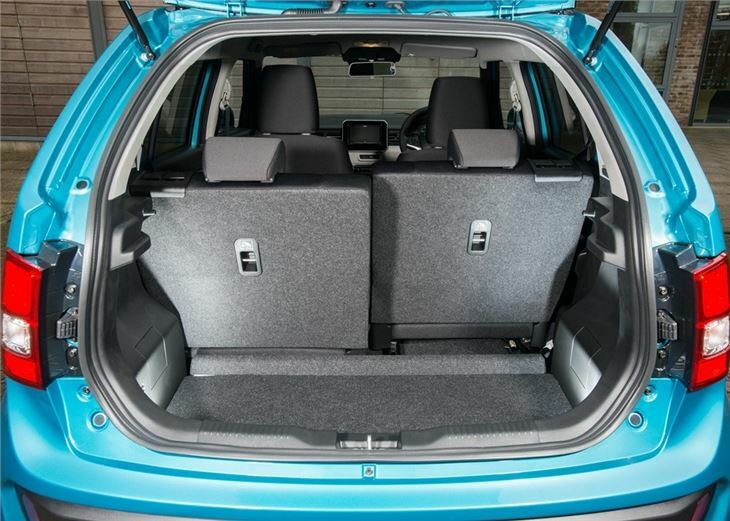 And it’s one of the cheapest crossovers you can buy, with prices starting from £9999. If you don’t remember the Ignis first time round then you’re probably not alone. 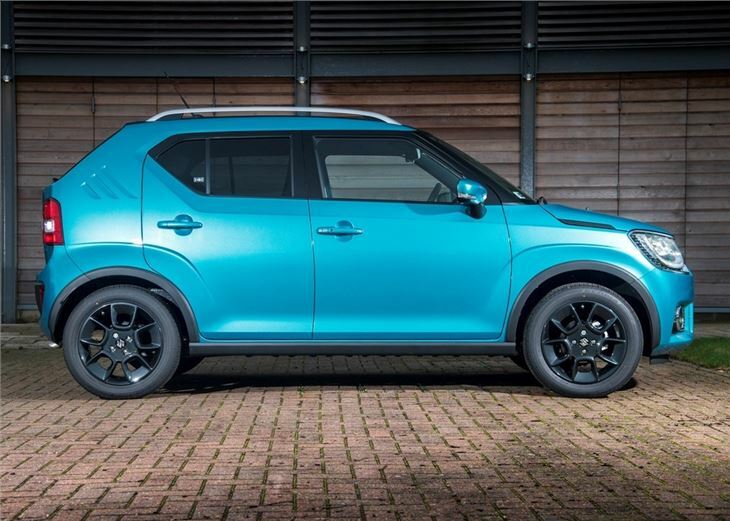 The original micro-SUV was ahead of its time - and the SUV boom - and became something of a niche Japanese import, with its low running costs and strong build quality offset by bland styling and a disappointing drive. 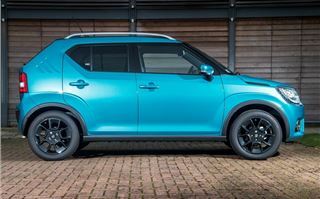 After a hiatus of 10 years, the Ignis is now back, but this time Suzuki has reincarnated it as a chic mini crossover, with an eye-catching design that features retro styling inspired by the 1970s’ Suzuki Whizzkid. 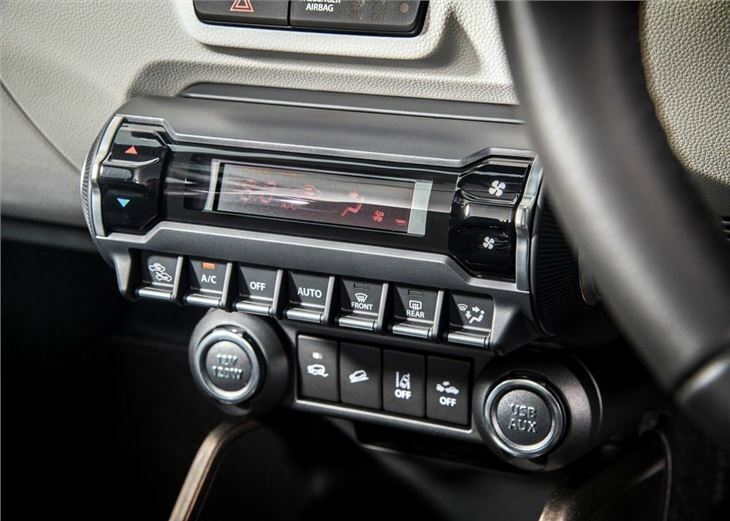 The Ignis gets some familiar cues under the metal too, sharing its platform with the Baleno, while its 1.2-litre Dualjet engine is carried over from the Swift. Like the Baleno and Swift, the Ignis is cheap to run, returning an official 61.4mpg and 104g/km of CO2. Opt for the 1.2 petrol hybrid - again, from the Baleno - and the claimed economy will rise to 65.7mpg, while emissions drop to under 97g/km. You can also specify the Ignis as a four-wheel drive hybrid, although economy takes a hit, dropping to 60.1mpg and pushing emissions back above the 100g/km barrier. 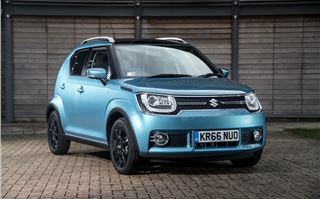 Sadly the Ignis doesn't get Suzuki’s turbocharged, three-cylinder BoosterJet engine; although, the four-cylinder DualJet engine works well enough, with its 90PS feeling surprisingly swift with the low 855kg kerb weight. Maximum power arrives at 6000rpm, which means the engine revs freely, while the smooth five-speed manual gearbox makes it easy to get the most out of the engine. The handling is fine, although nowhere near as sharp as the Fiat Panda or Volkswagen Up, with slow, heavy steering and low levels of feedback. 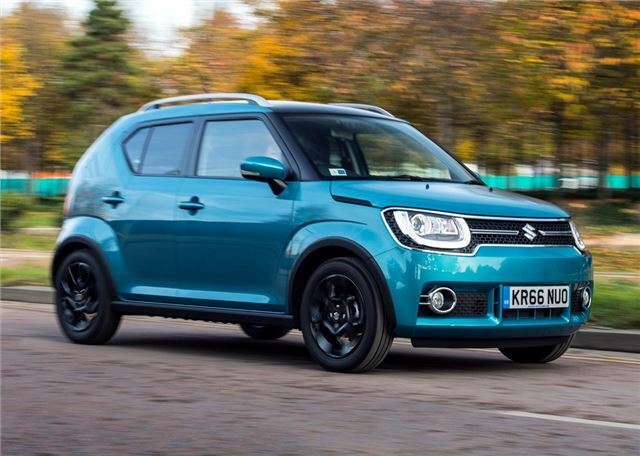 The power steering does adapt at lower speeds to lighten the feel, which makes parking and tight turns simple enough, but the weighting above 40mph is a bit too much and makes the Ignis feel a little sluggish. Ride comfort is something of a mixed bag too, with potholes and rough roads resulting in an unsettled ride with lots of body movement. This can make the Ignis quite uncomfortable, as it bounces along and crashes heavily over lumpy surfaces. Things do improve on the motorway, with low levels of engine and road noise. The 1.2 engine feels good at 70mph, emitting a low hum that’s barely audible. High speed stability is also impressive, given the short wheelbase and tall body, allowing the driver to change lanes with confidence and not have to worry about side gusts buffeting the vehicle from side to side every time a HGV passes. Despite measuring just 3.7 metres in length, the Ignis is spacious inside, with its high roof providing plenty of head and shoulder space for two large adults in the front and the back. 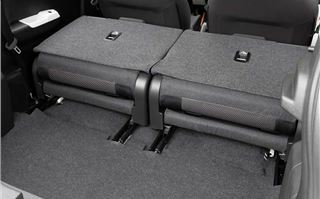 Boot space is respectable, with 267 litres, although this can be increased to 1100 litres when you fold the rear seats forward. 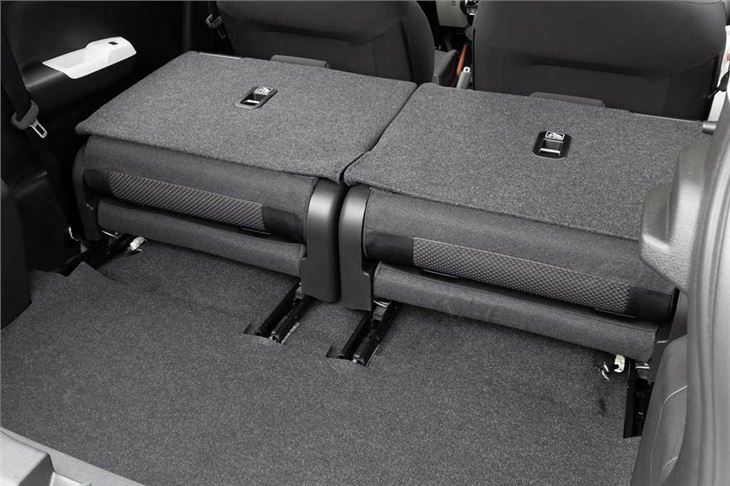 The high roof line is useful when it comes to carrying large items too, although the rear seats don’t fold flat, which makes it tricky to slide heavy boxes or small pieces of furniture, without catching the seat material and plastics. 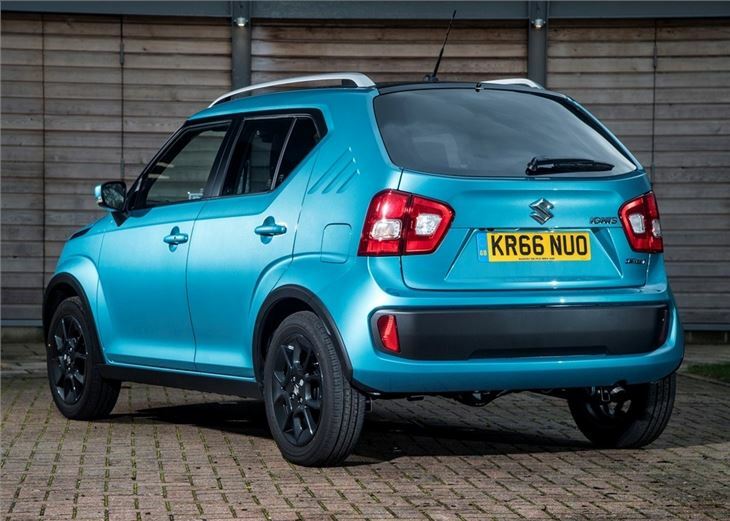 As with all of Suzuki’s small cars, the build quality is strong throughout. Some of the upper plastics are of the dark and scratchy type, but at this price point the quality is acceptable. 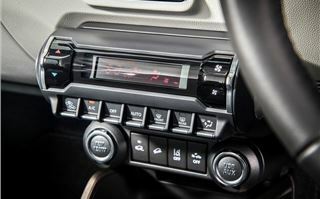 The dashboard is neat and simple to use too, with a two tone colour scheme that is a welcome break from Suzuki’s usual interior wash of black, black and more black. Available in three trims - SZ3, SZ-T and SZ5 - base cars get decent levels of kit and feature DAB audio, air con, Bluetooth and darkened privacy glass for the rear windows as standard. The SZ-T provides the best value in the range, with a parking camera, colour touchscreen navigation and roof rails thrown in. 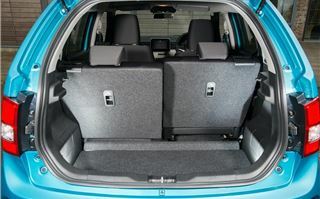 You also get individually sliding rear seats too, which makes it easy to make the most of the boot space. You can also customise and change various styling details if you opt for a higher trim level. Aimed at the value-end of the market, the Ignis’ quirky styling, low running costs and practical nature make it an attractive option for those who want something left-field from the current crop of city cars. 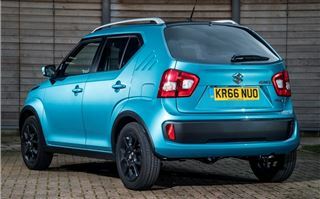 Admittedly, it isn’t as refined or as good to drive as the Adam Rocks or Panda, but it undercuts them both by a considerable margin on price and this makes Suzuki’s chic city car all the more appealing. 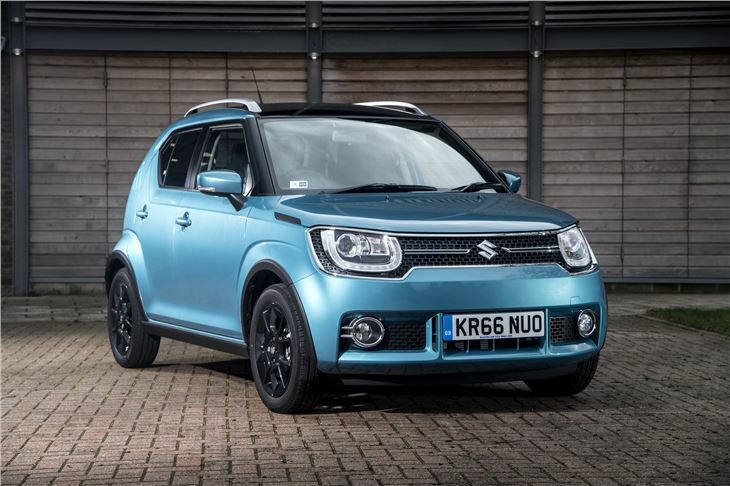 The Suzuki Ignis is available to order in January 2017.